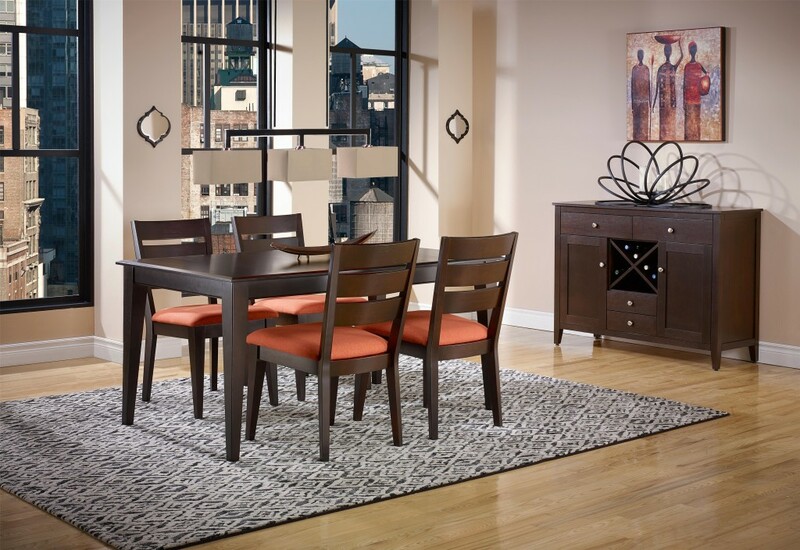 Saugerties Furniture Mart – Canadel Dining Furniture for Thanksgiving! 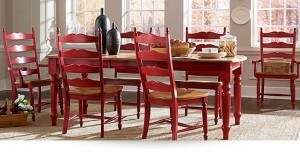 Last Call for new dining furniture customized the way you want from Canadel guaranteed in time for Thanksgiving! 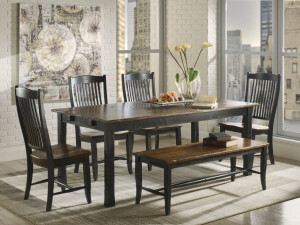 Order by October 19th and you and your guests will dine on a brand new, solid wood, custom designed dining set from Canadel. 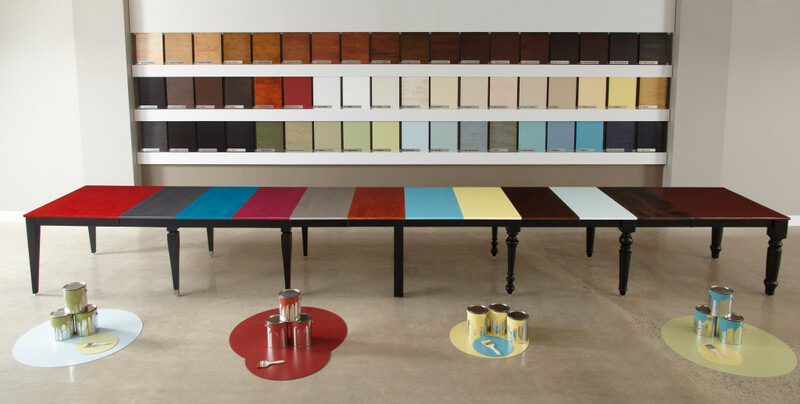 Canadel’s “worry free” finish will give you piece of mind to enjoy your Canadel on a daily basis. You can’t stain a Canadel and you never have to polish either! 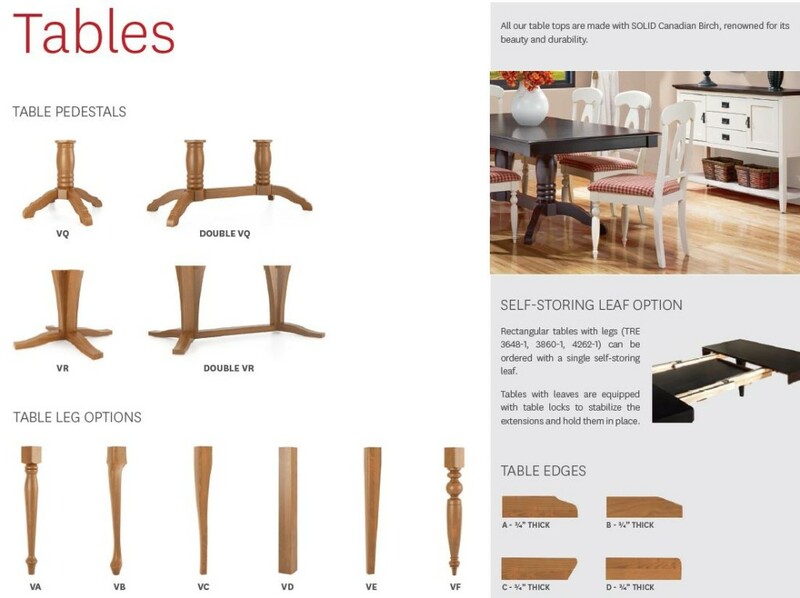 Create your own Canadel using our UDesign tool to choose your table and chair combination for your space or stop by Saugerties Furniture Mart on Main St in Saugerties and experience the Canadel quality and comfort first hand. 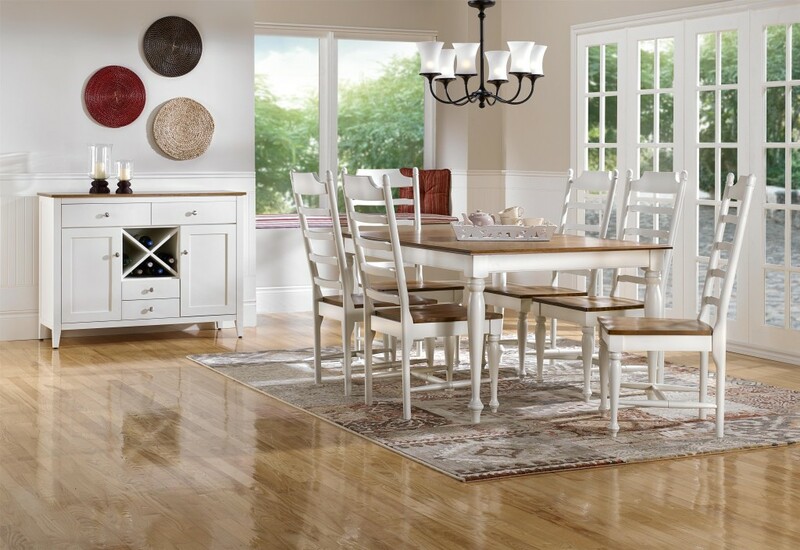 Our knowledgeable family members will help you pick the best options to fit your space and budget. Check out some samples of Canadel below. Traditional Canadel with splash of color! 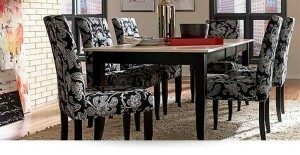 Canadel Modern – Huge choice of fabrics for all chairs no extra charge! 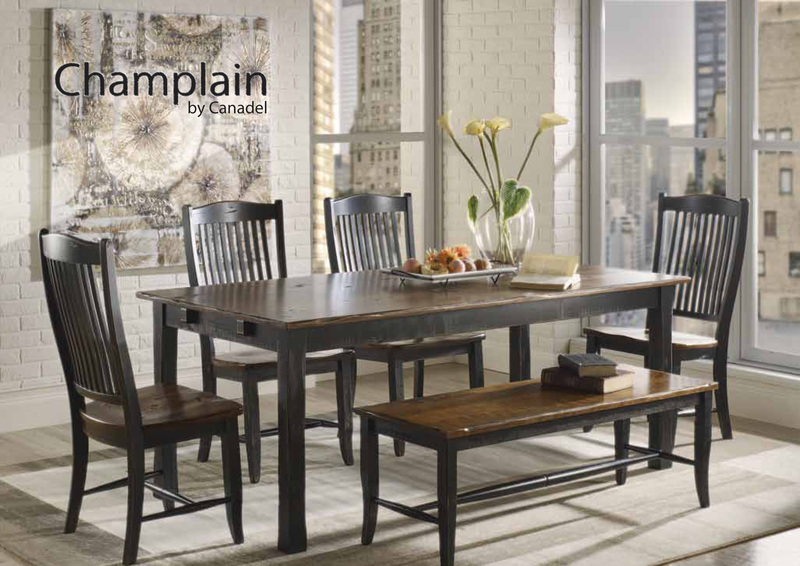 Canadel has been an important partner of ours since 1988. 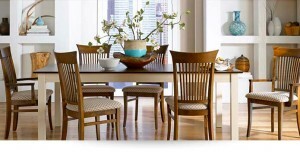 Canadel builds beautiful solid wood dining furniture the way you want FAST! Our special orders with Canadel average 28 days or less. 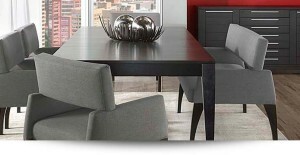 Choose your table shape & size, legs, edges and the perfect chair to build the ideal Canadel set. 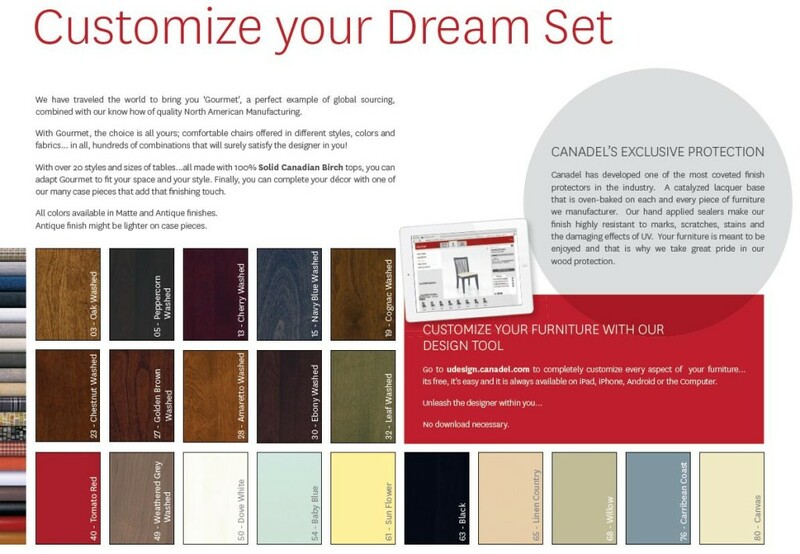 We have over 20 Canadel sets on our floor so you can see and touch the many options available. 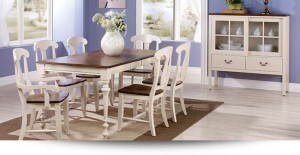 Below is all the finish choices which are available at no extra charge. 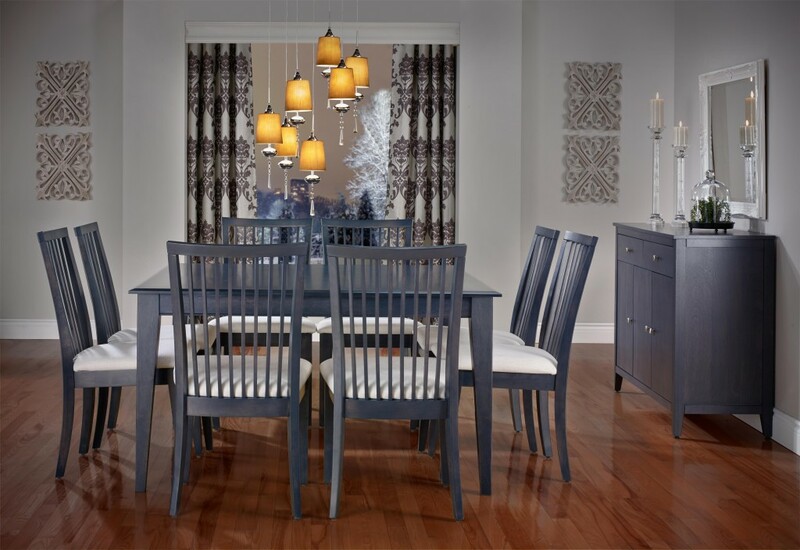 Stop by Saugerties Furniture Mart on Main St. in Saugerties and let us help you find the solid wood dining set you’ve been looking for! Click here to learn more about Canadel on our website.